How long it takes for the contest to be completed. usually, longer contests mean more time for entries. 99designs is the biggest crowdsourcing design site. It offers design services for almost any type of project, from logo design, package design, T-shirt design and up to fully designed website. 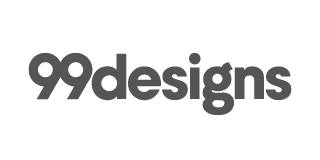 99designs is a design website that harnesses the power of technology and crowdsourcing to give you the best experience possible. This easy-to-use website walks you through a huge array of choices to help you really define what kind of design you’re looking for, and then it gives you the option to either choose a designer outright or start a competition for your business. This “design contest” feature offers you the benefit of seeing ideas from numerous artists and designers before making your choice. Unlike a traditional design site, these design contests allow any designer on the platform to pitch their ideas, giving the customer unprecedented breadth of choices. The higher the prize you post, the more people will be attracted to your contest, allowing you to get the most value for your money. We hope our 99designs review will help you figure out if this is the right fit for you. This site began in 2008 when a group of designers working together on SitePoint saw an opportunity to use their friendly competition in a different way. Mark Harbottle and Matt Mickiewicz, with the support of Lachlan Donald and Paul Annesley, created the site as a place where designers could connect with the growing market as freelancers. The original idea expanded quickly as more and more designers joined in, eventually creating what exists today–a community of more than 250,000 designers around the world that have served over 444,306 businesses! The love of design is central to 99designs, and they continue to grow and expand to better meet the needs of their freelancers and clients. Write a brief—This is a short document explaining what you’re looking for and any specific requirements for your design. You’ll start by selecting the category of design you’re looking for (logo, website, label, etc. ), and then the site will lead you through a series of questions to start defining the look you want, including choosing designs that appeal to you and a color palette. The whole process only takes a few minutes, but it’s worth taking the time to answer carefully as this will give parameters to the designers for your project. Pick a designer—You can either let the website match you with a designer based on your brief, or you can choose a competition format which will allow multiple designers to submit ideas for you to choose from. Competitions will generally last for seven days, with the first four being open submissions and the last three being a “final round.” During the first days of the competition, you can give feedback to all of the designers, and then at the end of that time, you will be required to choose up to six of the designers to continue to the end. You can continue to communicate with your top choices for a few more days until you choose the final winner. Perfect your design—Whichever route you choose to pick a designer, once you establish a partnership, you will work directly with your designer to tweak the final product into exactly what you’re looking for. After the competition ends, your designer will sign the rights over to you and send you the final files (the type of file will vary by what type of design you requested). Overall, our 99designs review puts it at the top of its game for crowdsourcing design. The huge base of designers also ensures that there will always be lots of talented artists available to offer bids. Everything is organized into payment packages that include everything, so there are no hidden fees that will pop up later. 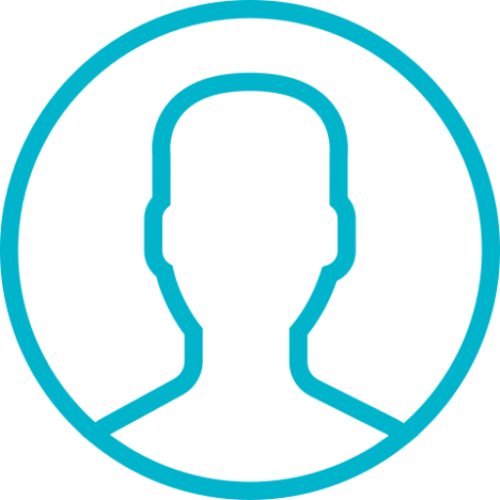 If you’re looking for a straightforward and simple way of getting a top-quality design, this site is for you. If you’re on a tight budget and are looking for the best value without all the bells and whistles, it’s still a good option, but you may want to check out our comparison table to find some more affordable options. I offered more than $300 for my logo because I wanted to choose from a wide variety of logos, and it worked pretty well. I chose a really cool logo, and after a few touch ups got it to perfection. This is definitely the future. It was difficult to choose the site to advertise my project on, but I chose 99designs because they are the most famous and I don’t regret it. They work with a ton of designers, so I got a heap of designs really quickly. I used them to get a logo for my site -very good service and variety of logos. I used 99Designs to open a contest for the realization of the cover of my book and I got a surprising success: 1122 entries from 167 different designers received in 6 days!! What can I say more? The system actually works! thank you everybody. I took one of the ready made logos, I’m sure it isn’t right for everyone but it was perfect for me. $99 and I got this annoying task done with and at a very high quality. there are a lot of design sites out there, but i went with the masses and chose 99designs. my logo design project gave me good results, though it’s a little more expensive than some other sites, i think it’s probably worth it.